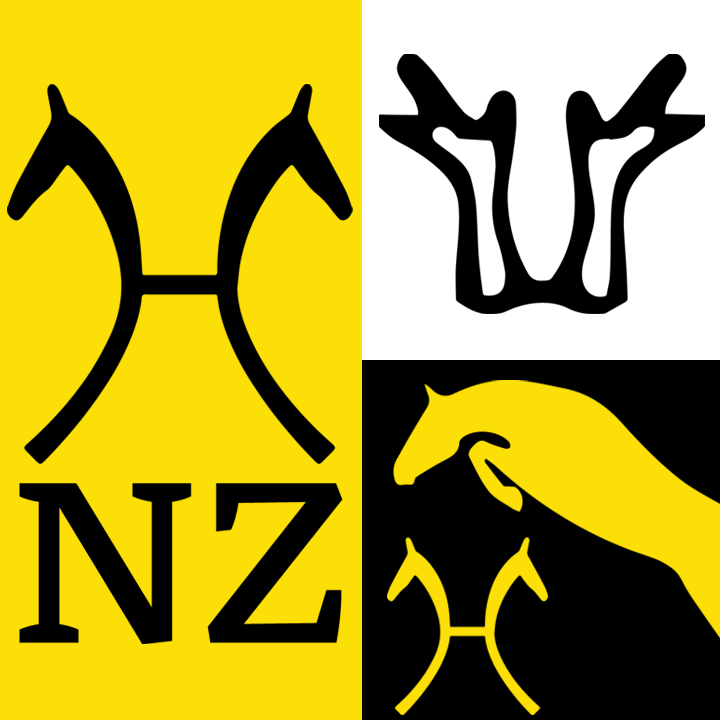 The best mares born in 2012 shone at the 2015 Herwart v. d. Decken-Show in Verden. Hanoverian state premium candidate Coco M became the celebrated winner in the division of show jumping mares, Hanoverian state premium candidate Bonita Spring was nominated best dressage mare and accomplished the victory lap with oak wreath and winner's sash in the Verden World Championship-arena. 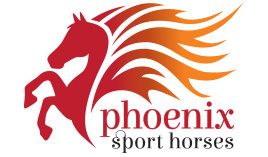 "I am already looking forward to seeing some of the mares again in sports," summarized Theo Lohmann from Sendenhorst. 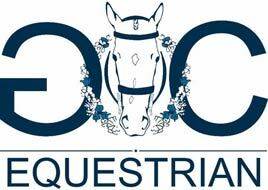 Together with Wilhelm Weerda/Wilhelmshaven, Konrath Böth/Niederwalgern and Breeding Manager Dr. Werner Schade, he acted as judge and evaluated the 20 show jumping and 46 dressage horse ladies. An age-group of outstanding quality with a well-composed mixture of bloodlines shined at the free jumping under the open sky. The Comte/Escudo II-daughter, Hanoverian state premium candidate Coco M (breeder and exhibitor: Peter Mahler, Neuhaus) presented unbeatable performances over the fences and became celebrated winner. She was also the dominating mares as regards type and movement. The sporty and big-framed reserve champion, Hanoverian state premium candidate Baloudessa by Balou du Rouet/Graf Grannus (breeder: Ludwig and Lutz Decker GbR, Bierbergen - exhibitor: Jörn Kusel, Visselhövede) descends from the famous dam line of the trademark stallion Grannus. The first three-year-old young mare with a dressage pedigree entering the triangle already captivated the audience. She presented awesome trot movement and left nothing to be desired as regards conformation: Hanoverian state premium candidate Bonita Spring by Boston/Fidertanz (breeder and exhibitor: Ulla Katzorke, Essen) was nominated winner of the dressage division – a fantastic success for the breeders from Rhineland who have been part of the Hannoveraner Verband since the beginning of 2015. It was the first time that the Nord Rhine-Westphalian regional breeding district had nominated mares for the Show in Verden. The eagerly and impressively moving dark liver chestnut mare traces back to the Hanoverian dam line of Oböe. A true eye catcher was the final presentation of the winners of their divisions where the Scolari/Royal Prince-daughter Serafina (breeder and exhibitor: Ingo Pape, Hemmoor) scored and was declared Reserve Winning Mare. 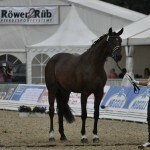 "The dressage mares had an outstandingly high quality level," Breeding Manager Dr. Werner Schade said. "We saw many horses with brilliant basic gaits and an excellently balanced composition of bloodlines." 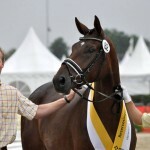 Hanoverian state premium candidate Bellissima by Bonaparte N AA/Stakkato (breeder and exhibitor: Herbert Putfarcken, Hamburg) was nominated best halfbred mare. She competed in the division of show jumping prospects.